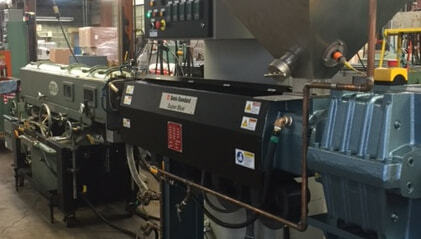 Petro Packaging is excited to announce the recent purchase of a new 2 ½” Super Blue extruder and a 1 ¼” co-extruder from Davis Standard-a global leader in the design and manufacturing of high-performance plastic process equipment for tube and profile custom plastic extrusions. The selection of Davis Standard equipment will insure that Petro Packaging customers will continue to receive quality products, efficiently and cost effectively. Click below to watch a video as David-Standard explains more about their extrusion machine capabilities: http://www.davis-standard.com/node/120. Petro Packaging Co. Inc. is a leading manufacturer of custom plastic extrusions for tubes and profiles. Our product offerings include but are not limited to CAB, CAP and PETG materials.